Looking for an easy way to make an Asian-style Japanese food potsticker without using any meat? Here's one simple recipe to make vegetarian and vegan potstickers using tofu, shiitake mushrooms, and Napa cabbage. 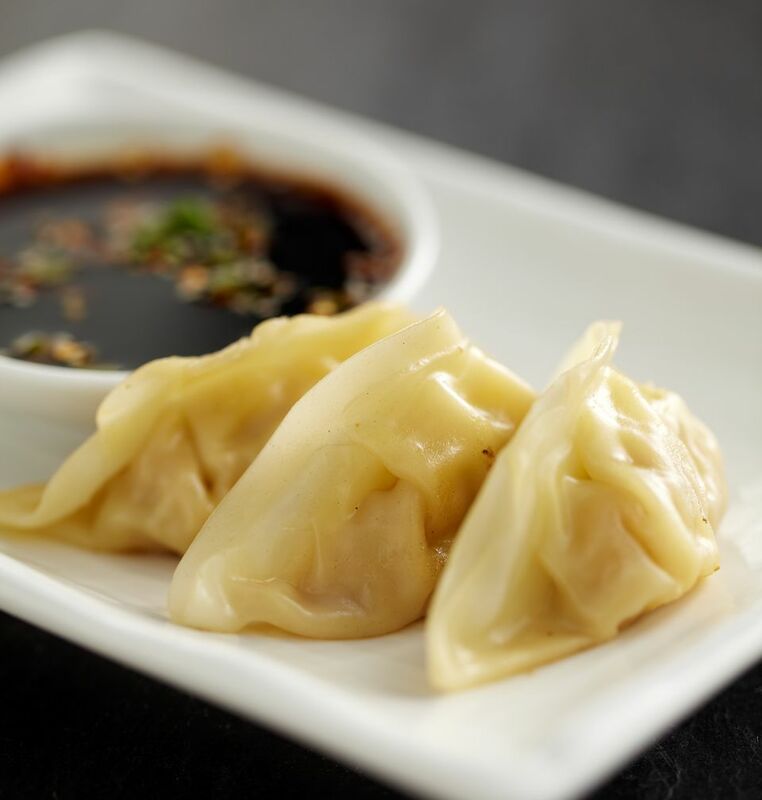 These vegetarian potstickers are little steamed dumplings similar to a traditional Japanese gyoza dumpling, and are also a bit similar to Korean mandu dumplings. These little potstickers are perfect for a vegetarian dinner or a small dinner party starter, You can really impress your friends by bringing them to a vegan potluck. You may also want to make a double batch as they will surely go quite quickly. Unlike traditional Chinese potstickers, the recipe suggests that you steam these rather than pan-fry the dumplings, to make them lower in fat, But the cooking style of Asian dumplings is really a matter of personal preference, as they are delicious either way, and the pan-frying variation directions are also provided. Heat a frying pan or wok and add the olive oil. Saute the crumbled tofu, mushrooms, cabbage, ginger, and garlic for a few minutes. When the tofu and mushrooms are almost done cooking, add the scallions, soy sauce, sesame oil, and optional red pepper flakes, stirring well to combine. Allow to cook for one or two more minutes. Remove from heat and allow to cool slightly. Stir in the optional fresh cilantro. Place about 1 tablespoon of the tofu and mushroom mixture into each wonton wrapper or gyoza wrapper. Moisten the edges of the wrapper with a bit of water, then fold in half and press to seal. Make a couple of pinches or folds to create a fan-like shape. This will help to seal the filling inside the dumpling. It may take a couple of tries to get the technique just right, but once you do, it's really quite easy. Heat a couple of inches of water in a large pan, and place a vegetable steamer inside. Place the potstickers, a few at a time, on the steamer. Cover, and steam your vegetarian potstickers for 2 to 3 minutes on each side. Potstickers are done steaming when they are soft and pliable. Serve your potstickers and enjoy. Provide a vegetarian or vegan dipping sauce such as one made with soy sauce, sesame oil, and spices, or a peanut dipping sauce. If you prefer, you can also pan-fry these little pot sticker dumplings, like traditional Chinese potstickers or Japanese gyoza. Heat 2 tablespoons oil in frying pan over medium-high heat. Fry the dumplings for two minutes. Then pour a little water in the pan, cover the pan with a lid, reduce the heat to medium-low, and steam till the water has evaporated. Then take off the lid, turn the heat to medium-high again and fry for a couple of minutes to crisp the bottoms of the potstickers.